Very interesting -- and ironic -- especially in a Muppet book! P.S. I got my books for the 500th post giveaway! They are great! I haven't gotten to read them yet, but they are sitting beautifully on my end table until I get around to them. Thank you so much! Glad to hear they arrived safe and sound. Hey! I have a copy of this book! It doesn't have awesome notes though. Slightly creepy.. in a positive way.. I can imagine a young kid playing a game and passing this note after recess or lunch hour. They used a calligraphy pen, although incorrectly, to look important and official. I think it's cute. I especially like the book though. The Muppets are awesome. Jim Henson's mind was incredible! 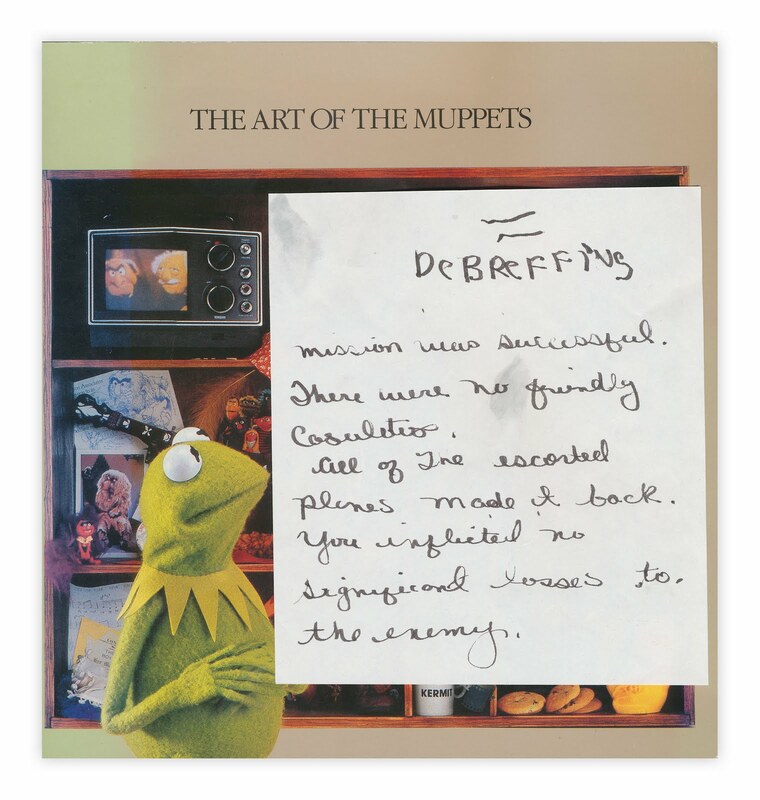 I love how you've positioned the note so Kermit is making his "yeegh" face at it.